Here's my first submission at MT! Lol i can't believe i only remembered that i've got an account here even though i've signed up like 2 years ago! (shows how forgetful i am)...This wall was originally posted at animepaper.net along with my other wallpapers, but i guess i should share it here too.Only the background is vectored. The character on the other hand, was taken from a scan i got from aethereality.net. I then extracted it, and did some cleaning on it. A drop shadow was also placed on the character. As for the background, i used a brush from echoica.net. But since the brush was'nt big enough, i resized the brush, and vectored it. The background is also made of some custom shapes, and i also placed some gradients in it too. 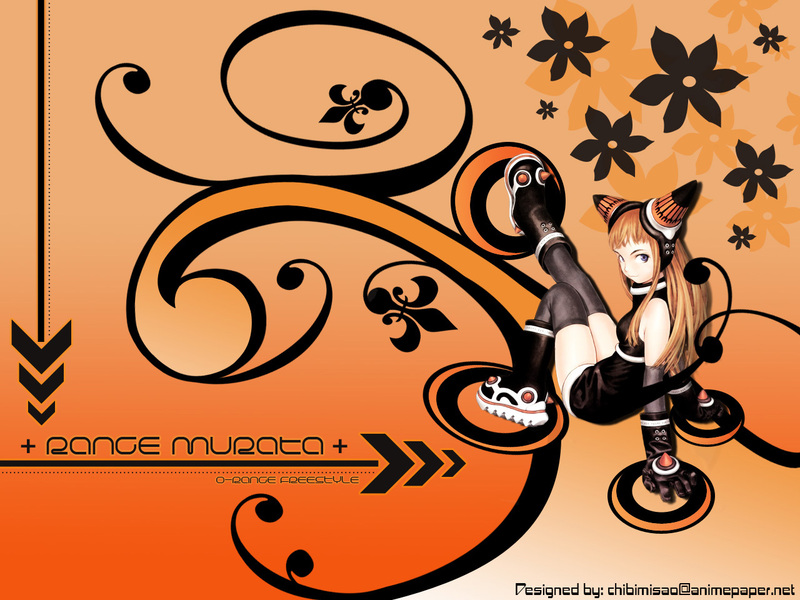 I named this wallpaper "O-Range Freestyle" because i wanted to relate the title to the artist of this character which is Range Murata. Thus came the idea of O-Range. Besides that, i also used mostly orange to match with the title. The "Freestlye" on the other hand, was chosen because my wallpaper type looked like a freestyle with all the random shapes. So thats why i named this wallpaper O-Range Freestyle. ^_^ Hope you guys like it. Ooh I love it! Adding to faves! o i really like this. I like how you set up the colors as well as the circles. Well balanced wallpaper. Sweeeet wallpaper im gonna use it on my ps3 thx !